UV technology company Surepure, based in Cape Town, has developed a method of wine purification that eliminates the need for use of sulphur in the winemaking process. The sulphur content is one of the main causes of headaches and other undesirable side effects. Former Springbok rugby player Guy Kebble, CEO of Surepure, says that the internationally patented Surepure technology makes it possible for winemakers to reduce or completely omit sulphur in their red and white wine products. The process also eliminates the need for sterile filtration, a technique that removes spoilage organisms from wine – but it can also strip wine of its flavour and attenuate the aroma. “We use ultraviolet (UV) technology to purify liquids, ridding them of harmful microbes so that it is now possible to bottle wines without adding this chemical,” he says. The company claims a world first in the wine industry. Surepure is best known as a developer and supplier of UV purification solutions to the dairy industry to reduce the need for pasteurisation. Now it has adapted its technology for the liquid egg, cheese, juice and wine industries. The company is in the process of establishing overseas distribution channels for its products. A number of respected wineries, among them L’Ormarins, Steenberg and the Stellar Organic Winery in Namaqualand, Northern Cape, have successfully tested the technology on batches of young wine during the recent harvest. Kebble says that winemakers have reacted positively to the new technique – described as “revolutionary” – which has generated much interest in the industry. Sulphur, in the form of sulphur dioxide or SO2, acts as a preservative in wine by inhibiting the growth of microorganisms such as yeast and bacteria, and by slowing down the oxidation process. Oxidation happens when the wine reacts with oxygen, which alters its colour and odour with the result that the wine becomes darker and dryer. While too much oxidation will ruin a wine, controlled oxidation can add character and complexity and in some cases, such as with certain sherries, is a crucial part of the production and aging processes. 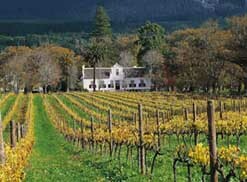 In South Africa, legislation states that dry white wine produced after January 1995 may not contain more than 160 mg/l sulphur. 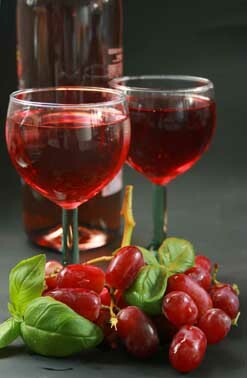 Off-dry and sweeter wines may contain up to 200 mg/l while Late Harvests are allowed up to 300 mg/l. The limit for dry red wine is at 150 mg/l. Organic wines still contain sulphur, albeit at very low levels – however, if the level of sulphur is below 10 mg/l, the product may be labelled “no sulphur added”. The shelf life of these wines is necessarily limited. The Surepure technology blasts microorganisms with UV-C light at a wavelength of 254.1 nm (nanometres). This affects their DNA and causes the organisms to become inactive, preventing them from proliferating. The process, says Surepure, is non-thermal, chemical-free, fast and reproducible, and leaves no effect on the wine. Not only does Surepure cut down on the need to add sulphur, bit it also eradicated the Brettanomyces yeast that is typically found in red wines. Brettanomyces at low levels can impart a positive effect on the wine, but has the great potential to spoil the wine. It is therefore seen as a wine spoilage yeast, and its presence in wine is classed as a wine fault. Once the yeast has found its way into a winery it is hard to eradicate, but it is particularly sensitive to SO2, the traditional method of control.